Our guest today is Megan Abbott. She is a multiple award-winning author whose fan-base continues to grow. It was my pleasure to have the opportunity to dig a little deeper into her process and see how her mind works. BOLO Books: You have been credited with helping to carry the touch of Noir Fiction for a while now. Your first few books were definitely in that genre, but some readers are still confused by the term “noir.” Can you talk a bit about how you define it, both historically and in the modern sense? But the term has morphed so much over the years. For me, noir is a story driven by what happens when one acts on subversive desires, secret longings. For me, the central theme of noir is the idea that a sole, fleeting act of surrender to desire can destroy you. We’re all prisoners of our own longings. But what a glorious prison! Some call “noir” bleak, but in my favorite noirs (Double Indemnity, In a Lonely Place), the world they offer an enticing one. After all, the lure has to be utterly tantalizing and thrilling to drive the protagonist to such extremes. Most of all, it’s a world of big emotions: love, hunger, anger, guilt, ambition, greed, the survival instinct. The purest emotions of life. 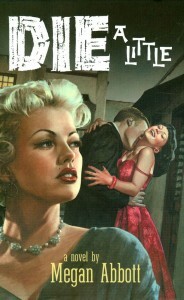 BOLO Books: Does it get tiring answering the “noir” question all the time? Given that your books are so much more than just pastiches of that style, I have to think that at times it can get frustrating. Megan Abbott: Only when it’s defined too strictly. To me, it’s a term that’s big and should encompass a wide array of books and films and TV, from Maltese Falcon to Rebecca to David Lynch and Mad Men. But categories are always a struggle—yet we (myself included) find ourselves needing to use them! 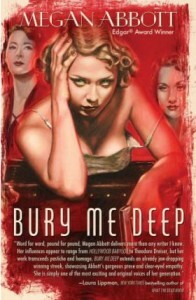 BOLO Books: In books like Queenpin and Bury Me Deep, the female protagonists are very independent women (or learn to become such). This goes against the grain of most hardboiled type stories and I wondered how intentional that was. Did you set out to over-turn the conventions of the genre or did you just have a story to tell and these strong women happened to be a part of that story? Or maybe it was a combination of both these things. Megan Abbott: A combination sounds right. As you say, classic hardboiled or noir tends to be a male genre, with female characters frequently confined to the femme fatale, the bit parts of diner waitress, the cop’s neglected wife. And when I started writing in the genre, in many ways, it was just a rich opportunity. All these female characters unexplored—the kinds of women you’d seldom see in traditional noir, such as a school teacher, a typist—and giving them center stage. And to offer versions of women who may, if viewed through a tough guy’s eyes, appear a femme fatale, but when we see the story from her point of view she seems like a survivor in a hard world. She is no longer a spider woman. She’s real. We know her. BOLO Books: Several of your novels find their genesis in real-life crimes. Do you read the newspaper and watch television news with your antenna tuned for interesting crime cases that could be material for a book? Or do these things seep into your mind unconsciously, only to reappear later without prompting? Megan Abbott: The latter—and that’s the perfect way to put it. Reading about true crime comes utterly naturally, since I was a kid. True crime was maybe my first “adult” book love, beginning with Hollywood Babylon and Helter Skelter and on through Fatal Vision, In Cold Blood. Sometimes, in mixed company, I wish I could claim it was for research. But I’m just fascinated by it. Not gore or horrors, but about what we learn about human behavior, morality, survival, ourselves. And some cases just buzz in my head for years until suddenly, it’s time to write about it. BOLO Books: I ask this because your next novel The Fever sounds as though it could be based on a recent case I remember where several girls in one town started to show symptoms such as rashes and twitching which could not be explained medically. Could that have been the genesis of the story? Megan Abbott: It was certainly a part of it. From the first news stories I heard about it in January 2012, I found that case utterly riveting and have long been interested in cases like it (of which there is a long history). As a news story, it spoke to many of my abiding fixations: girl body anxiety, hysteria, contagion. BOLO Books: Your two most recent novels, The End of Everything and Dare Me, feature more contemporary settings, smaller towns, and younger protagonists and yet I would be very hesitant to call them Young Adult novels. What is it about the girls in these stories that make them suitable characters for your brand of story, which is geared more towards adult readers? What is it about the threshold to adulthood that is so ripe with dramatic potential? Megan Abbott: The passage from innocence into experience is probably the constant across all my books and we see it most strikingly in adolescence. It’s the age at which we truly “make” ourselves or let ourselves be made by others. Our friendships, rivalries, crushes, humiliations—they all create us, and with a fervor you never get at any other age. Everything seems to matter so much. Also, I think many of us are still pretty uncomfortable with acknowledging some of the darker feelings of girls at that age—desire, aggression, jealousy. But I find that such ripe terrain. And better to write about it than to live it—I think it’s the hardest age of all and I’d never do it over again. I couldn’t agree more! Maybe writing about it is my way of trying to keep redoing it until I get it right. BOLO Books: I know that you have a new short story coming out in the George RR Martin-edited anthology, Dangerous Women. What can you reveal to us about this story? Megan Abbott: Oh, that was great fun. Without spoilers, I’ll say this: it was the result of a period of compulsive consumption of coverage of the Casey Anthony case. BOLO Books: Like myself, you are also a fan of Donna Tartt’s The Secret History. Since news recently broke that after 11 years her new novel, The Goldfinch, will be out in 2013, let’s take a moment to discuss how amazing that debut novel was. 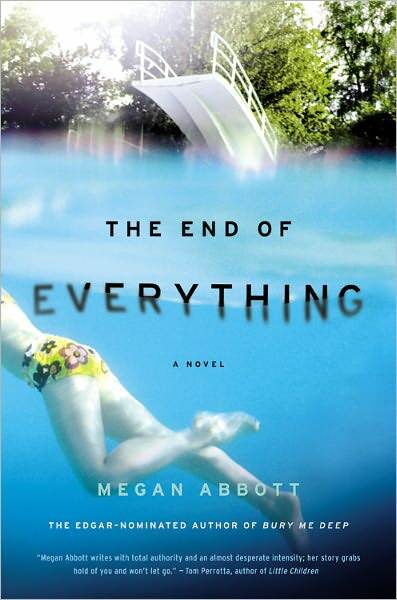 Megan Abbott: You know, I just re-read that last year—probably the fourth go-round but the first in many years—and it spun just as tight a web. Last year, I was at the Little, Brown anniversary party and Donna Tartt was there, quiet and small and hanging back a bit. I was dying to approach her and tell her how much that book meant to me but couldn’t bring myself to do it. I was worried words would fail me. You read the book and you think: Why can’t there be more books like this? And then you read it again and you realize how hard it is to pull off something like that, a book which flips over on itself. And so captures (and this is something I only realized this last go-round) that experience, when you’re young, of feeling for so long an outsider and then finally become part of something. You’re so swept up in it that you’re blind to its dangers, its realities. Brilliant. BOLO Books: I totally agree. It is probably the book I have re-read the most times and every time I am amazed at how well constructed that story is. I always find something new in it. It’s funny that you mention being intimidated to talk with Donna Tartt. I think of all the living authors, she is likely to be the one to make me the most tongue-tied as well. Megan Abbott: By the way, I just read an upcoming book that feels so much in the spirit of The Secret History: Jenny Davidson’s The Circle. Highly recommended! BOLO Books: Oh, I will definitely be seeking that book out. If forced to choose only one format for all your future reading, which would you choose: Hardback, trade paperback, mass-market paperback, or e-book? And why? 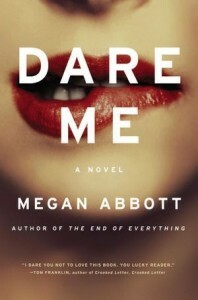 Megan Abbott: I confess: those decisions I leave in the publisher’s hands. They know so much more about it than I do, and it’s their investment, ultimately. I know readers who favor each of those formats and luckily right now I have books available in formats to suit most of those readers, but you can drive yourself crazy worrying too much about business stuff. As for me, I can’t read effectively on an e-reader, but hope to one day because whenever I go on a trip, I hurt my shoulder!